Offering a touch of nostalgia with all the mod-cons, holidaying at home – or the ‘staycation’ as it has affectionately become known – has soared in popularity in recent years. Harking back to the heyday of British seaside holidays, Brits are now keener than ever to get to know what’s in their own back garden. It’s a trend that looks set to stay – and we think deservingly so! 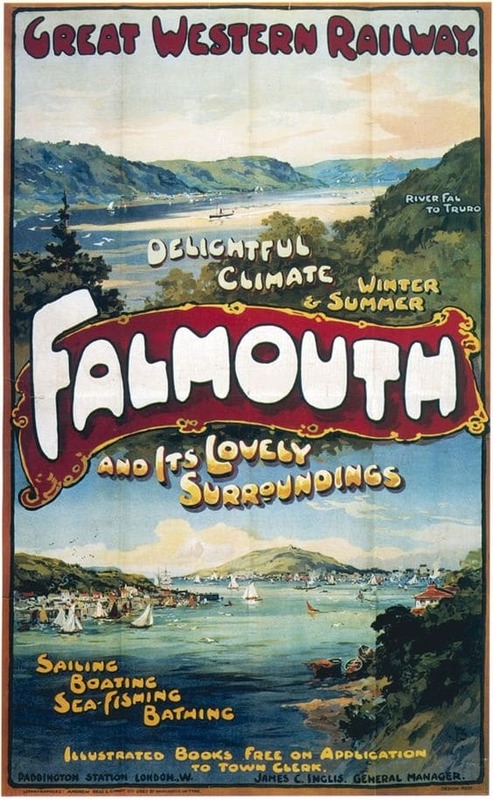 Our own mix of the old and the new is one of the things we most love about The Greenbank, so when we cast our eyes upon this old advert for Falmouth from Great Western Railways, we couldn’t help but be inspired. Here’s our list of just a few reasons you can’t beat a Cornish seaside holiday for some good old-fashioned family fun. Once in a while we all need a good technology detox and there’s no better way to do this than by leaving your gadgets behind and getting outside for a bit of fresh air. Don a wetsuit and try your hand at paddle-boarding at Swanpool Beach, head out for a ramble on Bodmin Moor, or rent a bicycle and take a leisurely ride on the Camel Trail, which runs alongside the stunning Camel estuary. And if you can’t quite leave your phone behind, that’s okay – we’re certain the only time you’ll feel the need to look at it will be to snap the views! 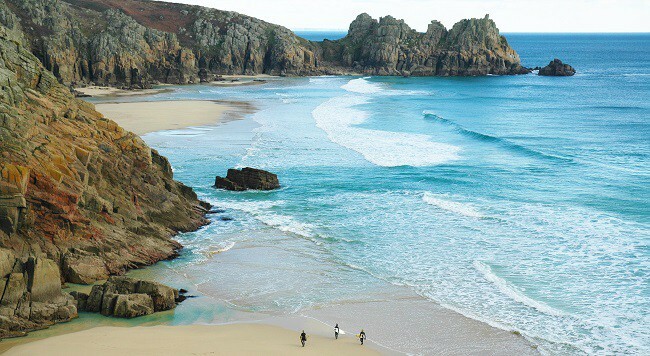 A recent survey named two beautiful Cornish beaches in the UK’s Top 10. But from the white sands of Porthcurno to the wide expanses of Watergate Bay or the unspoilt Pendower, a short ferry across the water from us, we can easily think of another eight to fill up the board. So grab your bucket and spade and dip your toes in the (admittedly a little chilly) water. Now we don’t mean to brag, but we’re fairly sure Cornwall boasts just about the best ice cream in Blighty. Get yourself down Ciuri Ciuri, just down the road from us in Falmouth town, which serves up all the classics as well as some quirky flavours like kiwi and pineapple. And you mustn’t leave Cornwall without trying a Cornish Hedgehog – vanilla ice cream, topped in clotted cream and rolled in roasted hazelnuts. An ice cream a day keeps the doctor away, right? Okay, so it’s another foodie one, but when they taste this good can you blame us? Scoffing fish and chips by the harbour is one life’s little pleasures that has been enjoyed by generations of Brits, and with The Working Boat just downstairs, you don’t even have to go far to fill your belly. But feed the seagulls at your peril – you have been warned! OUR NEW SPRING SUMMER BROCHURE IS OUT NOW, WHERE YOU CAN VIEW OUR LATEST OFFERS. REQUEST YOUR COPY HERE.